The Jellies are coming! They're going to squirm into your brain and walk you around like a puppet! Don't risk your family's safety, and take all your valuables (particularly your vehicles, we really need those) to a patented Eyrie Bunker! Safe against any invasion! With a heavy-set design, the Eyrie Bunker is the answer to your worries. It is low to the ground and reinforced with the sturidest MDF, making a perfect place to hide objectives (good luck finding them again though). 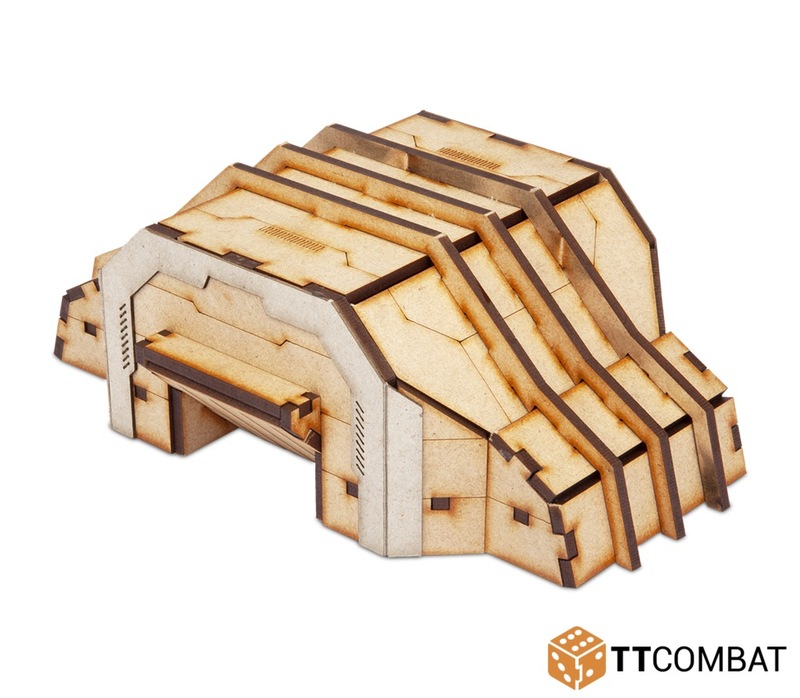 Made from 3mm MDF and 1mm greyboard, this kit stands at 8cm high and is designed for games of Dropzone Commander, but will work perfectly with any similar scale games. Model supplied unpainted and requires assembly. We advise using PVA glue for the best results.